I’m the only one here that eats this stuff. My last homemade batch ran out mid-winter so I bought a commercial brand. The present batch is loosely based on this recipe. 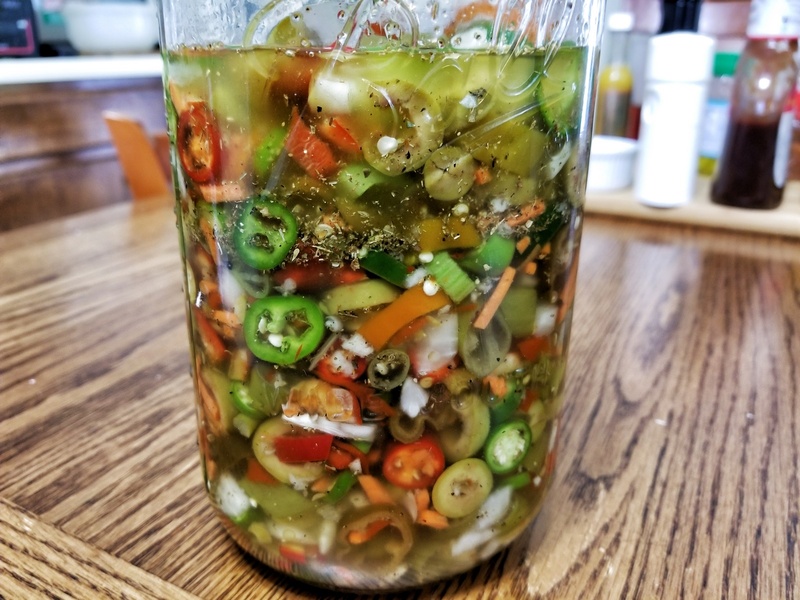 I have several serranos in mine, both green and red, along with a few green jalapenos, some sport peppers, and various pickled cherry peppers.